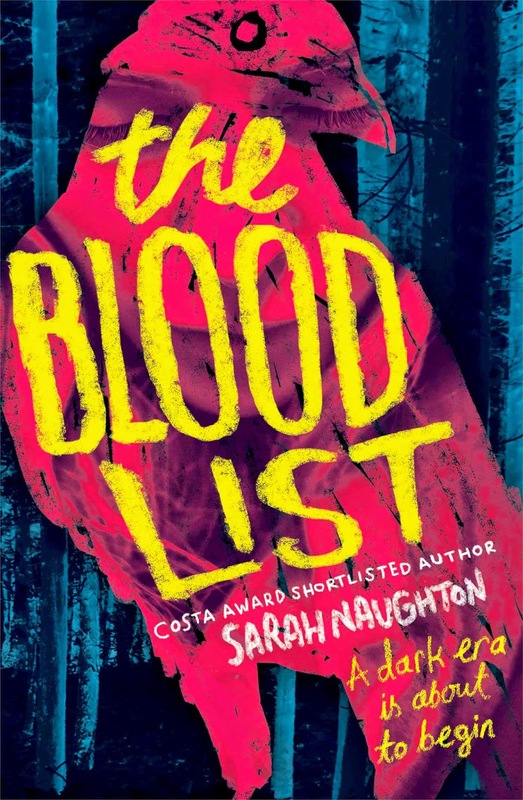 I found The Blood List by Sarah Naughton to be hugely interesting. I don't read a lot of historical stories and certainly none like The Blood List in which it felt like there was this dark combination of historical elements with the paranormal. I really wasn't sure where this story would go but I found it absolutely fascinating to be taken on this weird journey. The main character of The Blood List is Barnaby Nightingale, a somewhat spoiled and privileged teenage boy in 1646. He spends a lot of his days napping and and generally having no responsibilities or obligations. But things begin to change after Barnaby meets Naomi and his perspective and attitude towards life and everything changes. 1646 is a time where superstition is rife and throughout this story, Barnaby and this community are just on the edge of a dark time in which darkness takes hold. It was really interesting to read of the practices and ideas surrounding fussy babies and 'proving' how a baby's behaviour means that he might actually be a changeling amongst other superstitions. What I loved about The Blood List is that Sarah Naughton provides both sides to the story - the superstions as well as science and logic. I also really loved the family dynamic in the Nightingale family. Because of events surrounding Barnaby's birth, Barnaby's parents have very different attitudes towards their eldest son and it causes a major rift between Barnaby and his younger brother that really propel the events of the story. I thought everything between brothers and parent and son were done really well. One of my favourite aspects of this book though is witnessing Barnaby's development from spoiled and slightly bratty at the beginning into somebody very different, somebody who Naomi would be proud of. Another aspect of the novel that really appealed to me was Naomi constantly putting Barnaby in his place which is both amusing and also highlights some gender and economic differences of the time. All in all, The Blood List was a hugely fascinating story. It had great historical detail, great characters and particularly great relationships. It made me think of things in different ways. I was horrified by so many different practices that happened at the time and there were bits of the ending that had me very close to tears! I was so surprised by this book and I will definitely be on the lookout for Sarah Naughton's previous book. I really recommend this book!